Site Selection salutes the best corporate facility projects in the world in 2012, judged by investment, high-value and high-volume job creation, creativity in negotiations and incentives, regional economic impact, competition and speed to market. Nearly all of them also display the visionary brand of corporate and community teamwork necessary to lead in the 21st century. For the stories behind many of these deals and dozens of others, visit SiteSelection.com. What you learn might help you create a winning portfolio in 2013 and beyond. 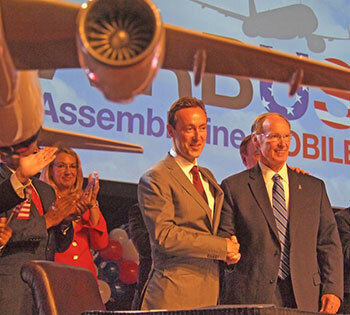 Adream deferred became a dream come true in Mobile, as the Brookley Aeroplex site once slated to be home to EADS’ aerial refueling tanker project was chosen in July 2012 by EADS’ Airbus to produce A320 passenger aircraft. As reported by Editor in Chief Mark Arend in our Nov. 2012 issue, Airbus all along had planned to sustain the previously chosen site with passenger aircraft manufacturing once those tankers were complete. “It will do that now without the tanker production prelude,” Arend wrote. The site will join other Airbus assembly lines in Hamburg, Toulouse and Tianjin. “It was a long and arduous trip, but we finally got there,” said Troy Wayman, vice president, economic development, at the Mobile Chamber of Commerce. But the way was paved by factors making the work less arduous, including a thriving Airbus engineering center already located there. Since 1990, Airbus has spent $127 billion with U.S. suppliers — $12 billion in 2011 alone. The project broke ground in early April. The city every city wants to be (see p. 16) beat out Phoenix for this project, which aims to create the jobs by 2025 at a new campus now under construction on 38 acres (15.4 hectares) on the north side of town. The state offered Apple an incentive of $21 million over 10 years through the Texas Enterprise Fund (TEF), and $5.4 million in local tax rebates were later approved by Travis County leaders after certain wage and salary promises were made. The Austin City Council approved an $8.6-million grant. Apple already employs approximately 3,500 engineers, operations and support staff in Austin, where the company employed about 1,000 in 2004. So this project will essentially double its footprint in the state capital. According to the agreement, an initial investment of $56 million will support construction of two buildings comprising 200,000 sq. ft. (18,580 sq. m.) by 2015. Another 600,000 sq. ft. (55,740 sq. m.) are due to come online by 2021. According to the county, Apple’s project will generate $15 million in benefits for the county over the 15-year term of the contract. As we reported in April 2012, the bell the Newton County Chamber of Commerce rings for every job a business creates was unable to ring the requisite 1,500 times before losing its clapper. But the impact of this biologics manufacturing project continues to resound in this area along I-20 east of Atlanta. The project has landed at Stanton Springs industrial park, created by the Joint Development Authority of Jasper, Morgan, Newton and Walton Counties, formed 15 years ago. In 2000, the JDA entered into an agreement with TPA Realty Services to develop an industrial park similar to one TPA developed in the Johns Creek suburb of Atlanta. The partners subsequently assembled a 1,620-acre (655-hectare) park. Jubilation struck Mobile, Ala., in July 2012 when Airbus announced it would construct a new plant at Brookley Field to construct A320 passenger aircraft. Stanton Springs beat out Research Triangle Park for the Baxter project, after losing out to RTP as runner-up for big projects in the past several years from Merck and Novartis. It was a four-year journey, guided in part by experts from Deloitte, that included a two-year hiatus from 2008-2010 as the economy tanked. Along the way, the project’s nicknames included Project RG, Project Boss, Project Red and Project Marathon. Baxter purchased 160 acres (65 hectares) in Stanton Springs, including room for future expansion. A Baxter spokesperson says plans call for an integrated campus that will include three main manufacturing buildings, as well as support components such as warehouse and utilities buildings, administrative facilities and laboratories. A $14-million Georgia BioScience Training Center is a big part of the deal, as is $10.3 million worth of training from the state’s prized Georgia Quick Start work-force training program. “The Georgia BioScience Training Center will be the cornerstone for all future BioScience industry ventures for the state,” says the Technical College System of Georgia. A403,000-sq.-ft. (37,439-sq.-m.) former American Express call center near Piedmont Triad International Airport will be home to a new administrative and back-office operations center thanks to a seven-year lease signed by Winston-Salem-based BB&T in October. The BB&T Triad Corporate Center may eventually employ up to 2,500 employees, said the company. That may go a long way toward healing the loss of 1,500 jobs from the AmEx facility closure, completed in late 2011. Chris Henson, BB&T COO, said the facility “allows us to consolidate offices, many of which are nearing capacity, in a central location and provide space for future expansion.” BB&T is a $22-billion company with 31,800 employees. Community leaders, including the mayor, were not even aware the project was coming, according to press reports. What incentives did the company ask for? None. Which incentives did the city, county, region or state offer? None. No press release, no staged event. Now that’s a deal. According to the Triad Business Journal, the lack of incentives is explained in part by company leaders’ known libertarian leanings, including foundational contributions to support the teaching of Ayn Rand’s philosophy in schools and former CEO and Chairman John Allison’s current presidency at the Cato Institute, a libertarian think tank. Benteler received more than 100 applications from 13 states for the project. LED offered Benteler a customized incentive package that includes performance-based grants totaling $57.4 million to reimburse site development, infrastructure and equipment costs incurred by the port and the company over the next few years of construction and operations; a performance-based grant of $12.75 million to reimburse certain relocation and internal training expenses; and the development of a new $22-million training facility and specialized equipment focused on manufacturing technology to be built on the campus of the Bossier Parish Community College. The Red River Waterway Commission will contribute $6 million, the Port of Caddo-Bossier will contribute $3 million and the Caddo Parish Commission will contribute $2.6 million, all for infrastructure improvements. Like its fellow Georgia project in Social Circle from Baxter, this big win for Athens was a product of patience, as the 922-acre (373-hectare) “Orkin tract” just missed on several big projects over the past decade. The property, once owned but never built on by IBM, languished in part due to a lack of fully built-out water and sewer infrastructure, and a lack of clarity regarding taxation, since the parcel sits astride two counties, Oconee and Athens-Clarke. But collaboration was key in securing a commitment from Cat in February to build a manufacturing and distribution complex for small track-type tractors and mini hydraulic excavators. General Motors’ iconic technology campus in Warren, Mich. was the first of four locations where GM in 2012 announced new IT Innovation Centers. Prominent in the teamwork were final approvals the week of the Feb. 17 announcement by the counties’ respective commissions, pledging $1.5 million to extend water and sewer to the property, and also pledging, along with the state, some $6.7 million toward road improvement work at the site. According to the Athens Banner-Herald, the two counties are offering Caterpillar a $30-million incentive package. They are purchasing the acreage for the project for $10 million, and transferring ownership of the parcel to Cat over 20 years, a period marked by gradually diminishing tax breaks that will save the company a cumulative $12.4 million. The project also is eligible for up to $45 million in incentives from the state. 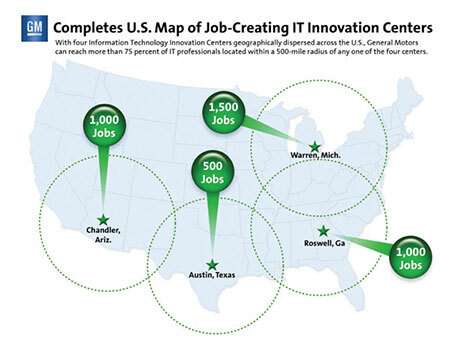 In October, GM announced this project, one of four Information Technology Innovation Centers now announced nationwide. Up to 1,500 high-tech employees will be hired over the next several years to support the company’s new approach to IT services at its iconic Warren technology campus. “We’re currently seeking the next generation of game-changers to help us usher in a new age of automotive innovation at GM,” said GM Chief Information Officer Randy Mott. The IT Innovation Centers play a critical role in GM’s overall IT business strategy, which is moving to a more in-sourced IT business services model as part of its overall IT transformation. 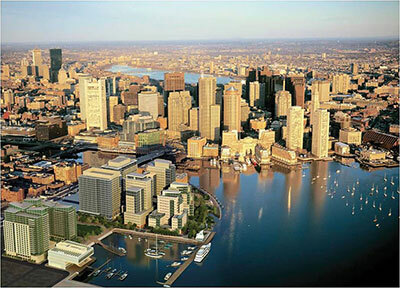 The Vertex deal to occupy two towers at The Fallon Co.’s Fan Pier development on the Boston waterfront has catalyzed momentum at the site, where further locations from a number of firms have been announced in subsequent months. The company’s third Mexican plant overall will be 2.5 times larger than the original Aguascalientes complex founded in 1982. The first phase of project, located near the airport, will include stamping, body, painting and final assembly facilities, as well as a supplier park and a proving ground. The company aims to build a team of 3,000 that will kick-start Phase 1 of the project by end of 2013. Hidetoshi Imazu, executive vice president of manufacturing at Nissan, praised the team’s kokoro or “spirit” in Japanese. “This new manufacturing complex represents the most ambitious investment announced by any company, from any industry in recent times in Mexico,” said Jose Luis Valls, president and GM of Nissan Mexicana. According to Judith Hill at the Nashville Area Chamber of Commerce, the site in midtown Nashville for this project had been vacant for seven years when it was pitched to the branch of longtime major Nashville employer HCA as a candidate location. The Metro Chamber offered a PILOT that was passed by the Metro Council. The state offered FastTrack infrastructure and Training grants as well as tax-based incentives. TVA offered incentives as well. The West End Summit site won out over multiple other sites in Nashville and beyond. The complex is being developed by Alex S. Palmer & Co. A 15-year lease will begin in March 2015. Parallon Business Solutions will relocate 750 jobs to Nashville from Williamson County with plans to add approximately 800 to its work force by 2017. SCRI will consolidate 200 Nashville-area employees into one office with plans to double in size by 2017. As we reported in the early days of this deal, the 1.1-million-sq.-ft. (102,190-sq.-m.) global headquarters and lab complex coming to Fallon Co.’s 23-acre (9.3-hectare) Fan Pier in Boston is one of the biggest deals in city history, as the firm relocated from a maze of facilities in Cambridge just as its main products were undergoing final FDA scrutiny. FDA approval for the drug came in January 2012. Vertex has signed a seven-year lease for Fan Pier, some five years after the possibility of moving there was first aired. The company as of last summer had approximately 1,300 employees in Massachusetts and expected to add an additional 500 jobs in Massachusetts through 2015 to support the company’s continued growth. Incentives from the Boston Redevelopment Authority came to $12 million. Incentives from the Commonwealth included $10 million in life sciences tax incentives and $50 million in public infrastructure financing. Fallon expects to invest some $3 billion and eventually feature up to eight office buildings at the site, as well as condos, retail, a hotel, a marina and parkland. Boston Mayor Thomas Menino sees the Vertex HQ as a catalyst for an innovation district. The final beam for the first of two Vertex office towers was put into place in July 2012. Since then, multiple firms have signed further commitments at Fan Pier. After obtaining a license to operated in late 2011, Chevron Phillips Chemical Co., a joint venture of Chevron Corp. and ConocoPhillips, signed a letter of intent in June 2012 to evaluate the feasibility of developing a petrochemical plant in the country, officials said. The company would examine building a new facility and upgrading an existing Iraq-owned petrochemicals factory in southern Basra province, Hanaa al-Husseini, a spokeswoman for the Industry and Minerals Ministry, told reporters. The project is backed by the Basra Investment Commission. Most natural gas present in Iraq oilfields is burned off due to the lack of infrastructure to process it for use by the petrochemical industry. According to the Iraq Investment and Reconstruction Task Force of the U.S. Dept. of Commerce, the Governorate of Basra’s entire budget is over $5 billion dollars annually with at least $380 million in construction, engineering, transportation, and housing projects forecasted to be procured during the next three years as they prepare to host the upcoming Gulf Cup in 2015. In December 2012, the Governor of Basra and the mayor of Houston signed a partners in trade agreement, and Houston will host a business delegation from Basra in May 2013. The country’s ministry of oil plans to increase production, and anticipates some $200 billion in investment in oil exploration and production. Between $15 billion and $20 billion is anticipated to be spent on four new refineries. After signing an investment agreement in September, these two companies in December announced the launch of their new 22,000-sq.-m. (236,814-sq.-ft.) manufacturing facility under the company name CSUN to produce PV cells and PV modules in Turkey and to invest in downstream solar projects in Turkey and neighboring countries. The first 150-MW solar module line installed in the new facility began producing solar panels in January 2013, with a 100-MW solar cell line expected to start up in March. China Sunergey also planned to move additional 200-MW equipment to the Turkish plant from the facilities in Shanghai in the first quarter of 2013 and to gradually ramp up production. The company has since stated that another 180MW line will be established at the facility in July 2013. The facility is located in Istanbul’s free trade zone. China Sunergy expects Turkey to become its second largest manufacturing base after China, serving not only Europe but the U.S. as well. “Turkey’s energy demand has dramatically increased over the past decade, and we believe, with one of the highest solar radiation in Europe, Turkey is poised to become the next new solar energy dynamo in the region,” said Cagri Seymen, CEO of Turkish firm SEUL Energy. “Diversifying our manufacturing base to Turkey helps enhance our global supply chain and minimize any negative impacts from anti-dumping cases in the US, EU, or elsewhere,” said Stephen Cai, CEO of China Sunergy. 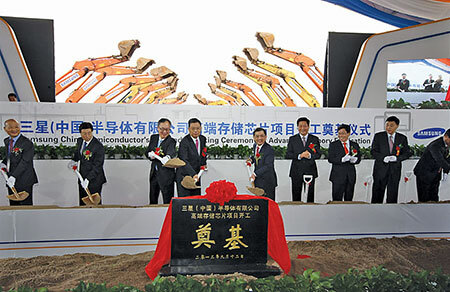 Samsung broke ground for its memory manufacturing complex in Xi’an, China, in September 2012. Following its construction in a record time of about 24 months, the new production plant of the wholly owned Daimler subsidiary, Daimler India Commercial Vehicles Pvt. Ltd. (DICV), was completed in Oragadam-Chennai in April 2012, when the company inaugurated the 160-hectare (395-acre) manufacturing site along with an integrated R&D center and test track. The plant, which is producing BharatBenz brand trucks, is one of only three Daimler truck plants worldwide to combine truck assembly and components production at one location. An initial capacity of 36,000 units a year could increase to as high as 70,000 a year. With a product portfolio of 17 BharatBenz commercial vehicles by 2014, DICV is preparing for the promising Indian truck market, which has developed into the world’s third largest. DICV has built up a nationwide retail network that was to encompass around 70 locations by the end of 2012, and is slated to expand to more than 100 by 2014. After a reported three years of planning and negotiations with the Brazilian government, Foxconn, famous maker of Apple’s iPad and iPhone, announced in September it would construct new facilities in Itu, at an industrial park about an hour outside São Paulo. No incentives are involved in the agreement signed by the company, the state government of São Paulo and Investe São Paulo. Foxconn already had five plants in the area, including an Apple products plant in Jundiai, and operates nine plants overall in Brazil. “The new facility consolidates the company’s intention to invest heavily in the Brazilian market. 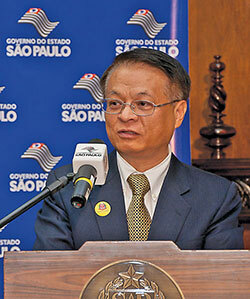 Brazil has an enormous potential to grow, and it has been an excellent partner of Foxconn on deploying its global investment plan and strategy,” said Henry Cheng, Foxconn’s president for Brazil. According to RCR Wireless, the industrial park hosting the new plant has 1.4 million sq. m. (more than 15 million sq. ft.) of space, and is also welcoming a new $30-million plant from Chinese PC maker Lenovo. In a move paralleling China Sunergy’s in Turkey, fellow Chinese firm Giga Solar announced in September its plans to make this major investment in a solar panel manufacturing plant in order to avoid 25-percent anti-dumping duties imposed on Chinese exports of the products by the U.S. government. The proposal was submitted to the Bangladesh Board of Investment and the Bangladesh Export Processing Zones Authority (BEPZA), and will involve a joint venture with local firm Bangladesh Allied Solar Energy (BASE). The initial investment will be $250 million. While the company intended to invest in an EPZ, most of the zones were not big enough to accommodate the size of the new complex, so the search for land extended outside the zones. Most of the plant’s production will go to the U.S., EU and Australia. But a June 2012 report from the World Bank said more than 1.4 million low-income rural households in Bangladesh now have electricity delivered by solar PV panels, up from 7,000 a decade earlier. “It’s the fastest expansion of solar energy anywhere in the world,” said Formanul Islam of Bangladesh’s Infrastructure Development Co. The Kuala Lumpur-based rubber glove manufacturer in April 2012 announced this investment in a “next-generation” integrated glove manufacturing complex comprising 70 production lines. Because of its high economic impact, the project was designated an Entry Point Project under the Malaysian Government’s Economic Transformation Program. There are 131 such projects in Malaysia, designated as such to drive progress in the nation’s key economic areas. In addition to manufacturing, the 100-acre (41-hectare) site for the project will be home to an R&D center, renewable energy plant, worker quarters and sports and recreation center. Construction will take place over two four-year phases, with 40 production lines coming by 2017, and 30 more lines coming by 2021. On completion of the project, “the total installed production capacity of the Hartalega group including the current factories in Bestari Jaya will be 38 billion pieces per annum,” said the company, due primarily to a patented double former mounting design that allows the operation to produce 40,000 pieces of gloves per hour per line, the highest in the industry. In July 2012 the Colombian Ministry of Trade, Industry and Tourism announced the commencement of operations of Portuguese multinational Prebuild, a leader in the construction industry, with an industrial township near Bogotá. “Colombia has different appealing factors for foreign investment, and FTAs are one of them. We have large scale exports to USA and Canada, and we wish to transfer part of that production from Portugal to the American market through Colombia,” said Pedro Vargas, CEO of Prebuild in the country. He said the country’s free trade agreements with Peru, Chile, Mexico and the European Union “are very important within our business strategy,” and highlighted strategic location, legal security, proper business environment, competitiveness in labor, potential for construction business development and tax advantages for investment in free trade zones as decisive factors when deciding on the location in Colombia. Prebuild will have 11 plants making different construction materials and components, such as windows, doors, floors, drywall, mortars, kitchens and office furniture among others, which are expected to be traded from the first quarter of 2014. Through June, approximately $9.33 billion in FDI had entered the country. The goal for the year was $15 billion. This new plant on Agbara Industrial Estate in Ogun received a visit from U.S. Ambassador to Nigeria Terence McCulley last June prior to the July groundbreaking. It is the largest U.S. non-oil investment in Nigeria, and P&G is the largest U.S. manufacturing company in Nigeria. The company also has established a mobile clinic in Ogere, Ogun State, that provides social sustainability programs that impact and improve the health needs and lives of the local community. Samsung signed a contract with Egyptian officials at a September 2012 conference held by the General Authority for Investment (GAFI) in Cairo. According to the country’s state-run MENA news agency, Samsung will eventually invest more than $1.4 billion in several factories in this area just south of Cairo. Henry Cheng, Foxconn’s president for Brazil, announces the company’s latest investment in up to five new plants outside São Paulo. The company’s first factory in the Middle East and North Africa will begin exporting electronics to other Arab countries during the first half of 2013. Samsung’s sales in the region rose by 44 percent to a record $134 billion in 2011. The China Semiconductor complex has a target timeline for achieving full-fledged operation in 2014. While the initial investment in the fab is $2.3 billion, Samsung China Semiconductor will mark the single largest investment by Samsung in China with a phased total investment of $7 billion.